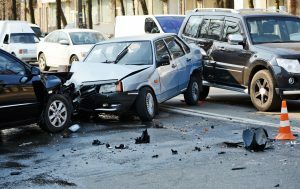 An injury lawyer’s guide to resources if you have been in a collision. As a busy metropolitan area, Chicago Ridge has a number of dangerous intersections, including 111th and Ridgeland. Use caution when you drive in Chicago Ridge and be safe. Unfortunately, that isn’t always enough. Sometimes another driver is not so careful. People often ask their lawyer what they should do if they are involved in a car accident. The general answers are the same throughout the state of Illinois, but it can help to have information that is specific to your community. Here is some information about what to do when you are involved in a collision in the Chicago Ridge area. We are also including links to resources in Chicago Ridge that may be of assistance. Any time you are involved in a car accident, you need to call the police. Which police you call depends on where the accident occurs. Interstate 294 passes near Chicago Ridge. If your accident occurs on the interstate, you should contact the Illinois State Police. If the collision happens anywhere else, you should contact the Chicago Ridge Police Department at 708-425-7831. You can get more information on their web site. Of course, if there are serious injuries, you should call 911. As a part of the Chicago metropolitan area, Chicago Ridge residents have a lot of choices for medical care. When you are injured in a collision, the most important thing is to get excellent medical care. Don’t assume that the best care is the closest to you. Be willing to travel a bit to get the best qualified doctors. You can find hospitals near Chicago Ridge and some information about their quality ratings from U.S. News and World Report. The Illinois Department of Public Health also publishes a list of licensed trauma centers, many of which are near Chicago Ridge. If you are not obtaining treatment because you can’t afford it – you should seek guidance from an attorney or another professional as soon as possible. There may be insurance coverage or public benefits that can help you. Not all car accidents require an attorney. If your car is damaged and the company works with you to fix it, you should be able to manage this on your own. If you have a serious injury from the accident, it is likely that you will need legal help to get fair compensation. Picking a good personal injury lawyer is very important. As with doctors, keep in mind that the best lawyer may not be in your neighborhood. Be willing to travel a little to find an experienced lawyer. Some lawyers (including Stotis & Baird Attorneys) will agree to come out to Chicago Ridge and meet with you there if you are injured and unable to come downtown. Most injury lawyers work on a contingency fee – meaning that you do not pay unless you make a recovery. The typical fee is 1/3 and you should not need to pay a higher fee than that. Understanding how contingency fees work is important. Here is a link to a good article on the topic. If you have additional questions about what to do after a car accident – please feel free to call us: Stotis & Baird Chartered – 312-461-1000. Serving Chicago, Chicago Ridge and the rest of the South Suburbs – 200 W. Jackson Blvd. Suite 1050, Chicago, Illinois 60606 or visit us on the web at www.stotisandbaird.com. Aritcle by Eric Parker, injury attorney with Stotis & Baird Chartered.